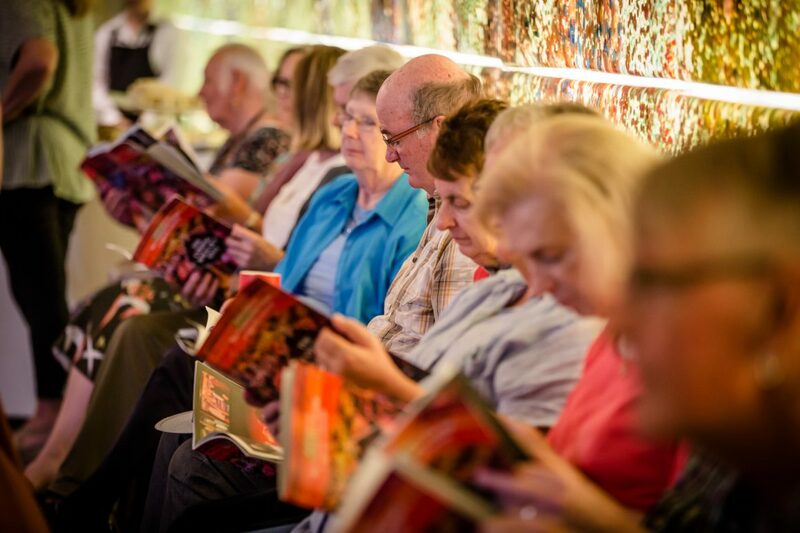 A new social initiative for LGBTI+ elders created in partnership with Arts Centre Melbourne. 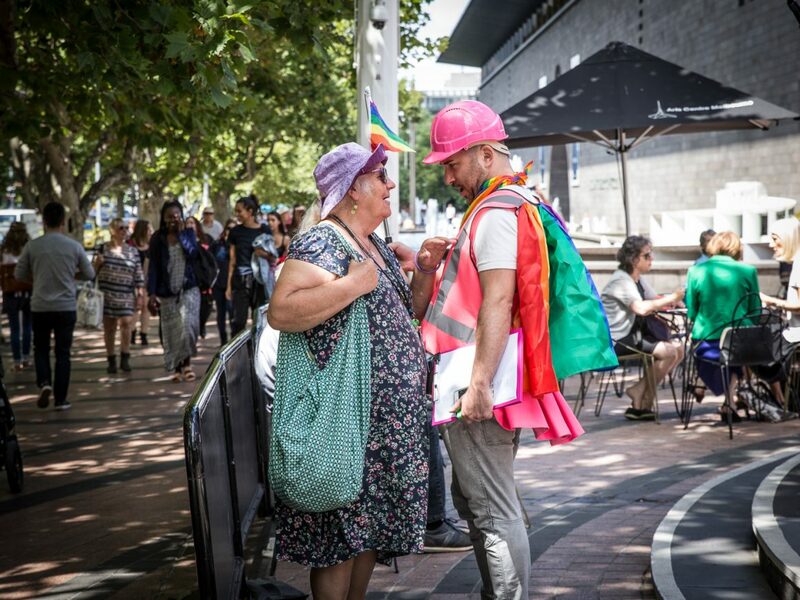 Throughout 2018, Arts Centre Melbourne will generously offer LGBTI+ elders free seats at performances and theatre shows. 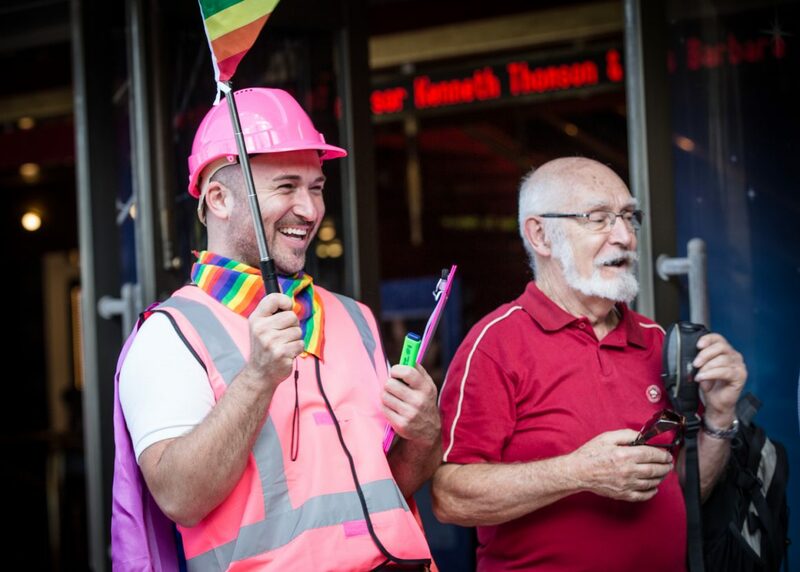 LGBTI+ elders will then collaborate with All The Queens Men to design a podcast series of reviews to be broadcast online and on radio. 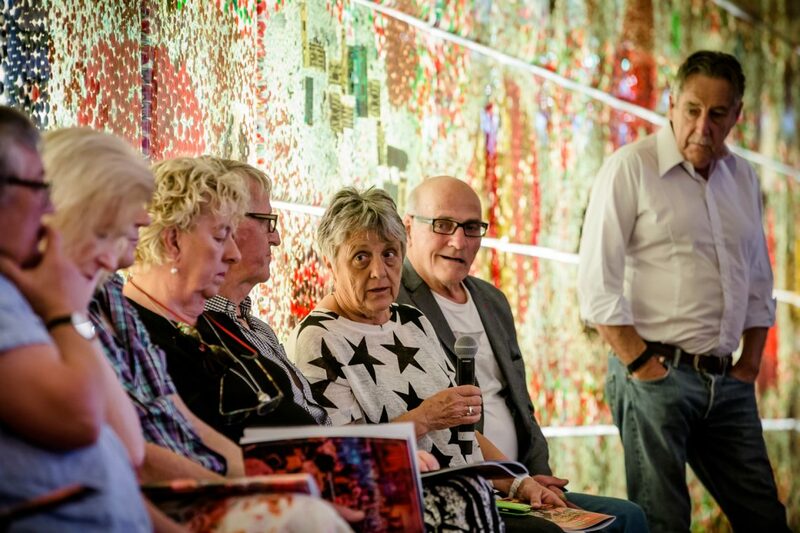 LGBTI+ elders Gordon Wilson and Lizzi Craig share their reflections in a post-show conversation facilitated by artist Tristan Meecham with author Christos Tsiolkas and director Stephen Nicolazzo. Book tickets to Merciless Gods here. To attend this post-show conversation please select the performance on Saturday 9 February 2:00 PM. 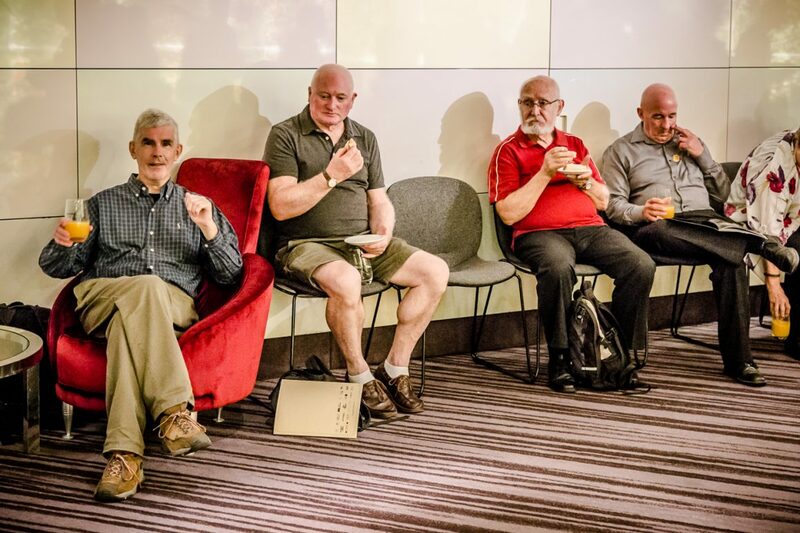 A collaboration between Arts Centre Melbourne and All The Queens Men, Rainbow Reviews is a creative program for LGBTI+ elders where they discuss and review Arts Centre Melbourne performances. Their stories, ideas and understanding of the culture and performance is being captured in a podcast series, called Rainbow Reviews. Hear their take on Merciless Gods in a open conversation with an opportunity for questions and answers. Gordon Wilson is an 80-year-old gay man who has been out his whole life. He is the co- host of JOY FM’s radio program Been There Done That and supports many LGBTI+ social organisations. Lizzi Craig is an older out and proud lesbian, who recently retired. She worked as an HIV Clinical Nurse Consultant with the Royal District Nursing Service in Melbourne. 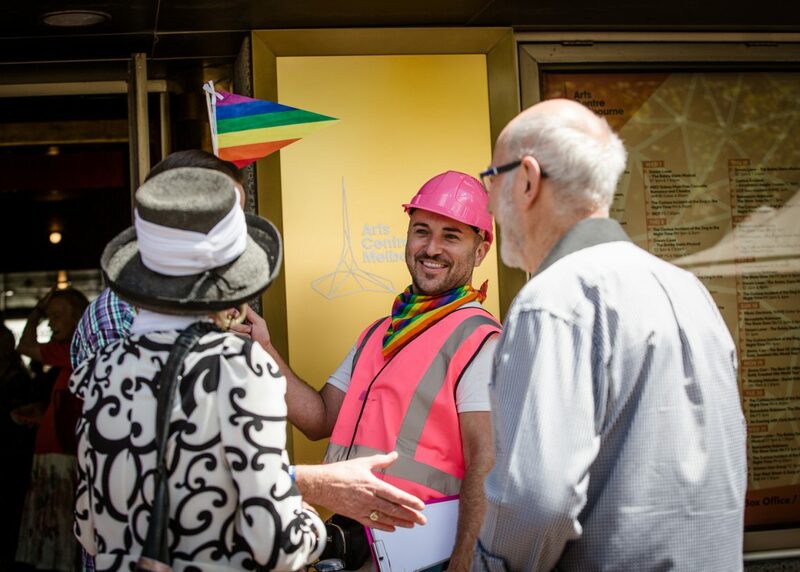 This service works in partnership with the Victorian AIDS Council to provide community care and support to people living with HIV in their homes. Stephen Nicolazzo is the Artistic Director and founder of Little Ones Theatre. 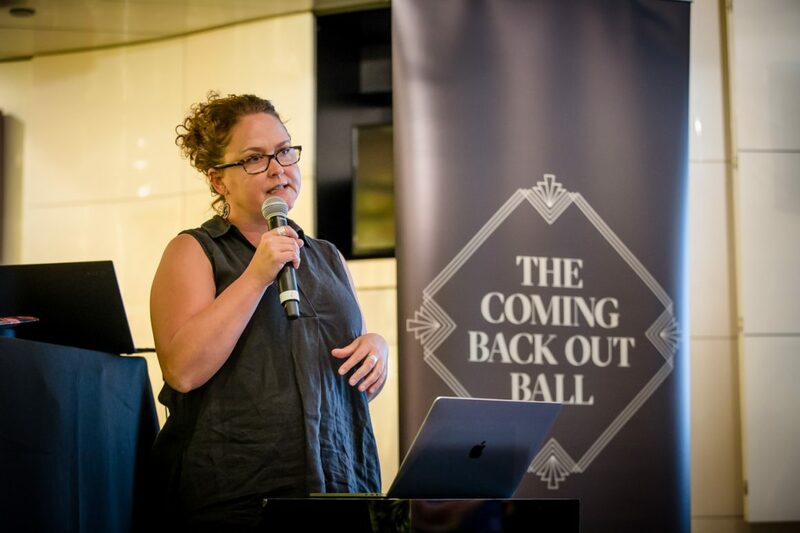 He has worked extensively with companies and arts festivals across Australia including Melbourne Theatre Company, Malthouse, Arts House, Arts Centre Melbourne and Brisbane Powerhouse. Christos Tsiolkas is an award-winning author of five novels; Loaded, The Jesus Man, Dead Europe, The Slap and Barracuda. He is also a playwright, essayist and screen writer and has been the recipient of numerous awards, such as the Commonwealth Writers Prize (Pacific Region), the ASA medal and the NSW Premier’s Award, and was longlisted for the Man Booker Prize. Tristan Meecham is an artist who facilitates creative frameworks that enable social transformation; connecting community, audience and artists together in events that transcend the everyday. He is the Director of All The Queens Men, who create spectacular theatrical and participatory arts experiences. Duration 30 minutes, Auslan interpreted. 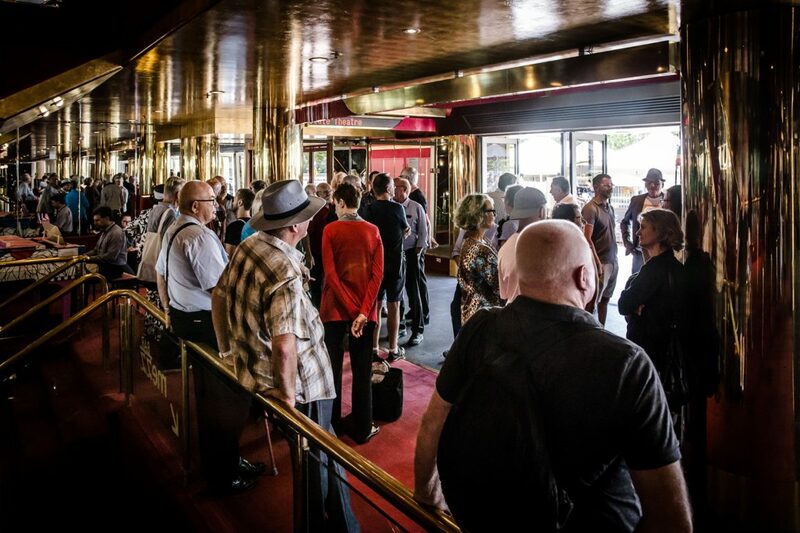 At the launch of Rainbow Reviews, LGBTI+ elders went on a private tour of Arts Centre Melbourne, exploring the labyrinth beneath the famous spire, including the grand State Theatre to discover all the backstage glitz and glamour. 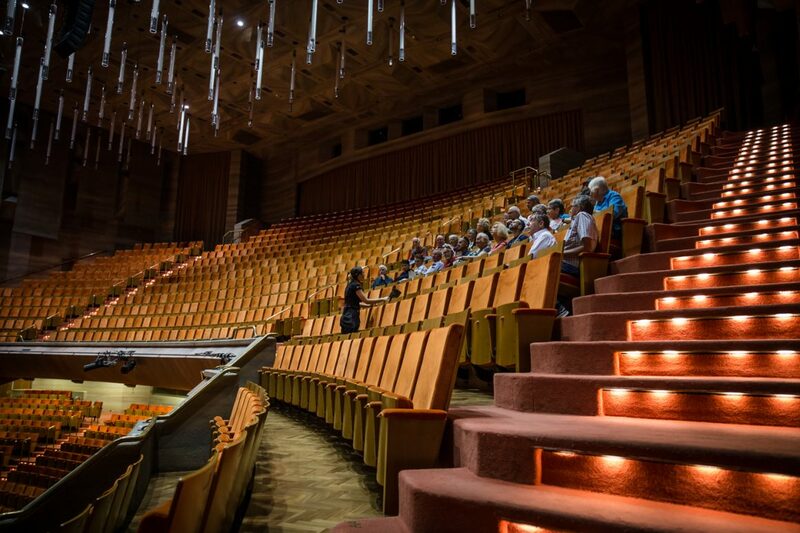 Conditions: Seats reserved for LGBTI elders (65+ years). One seat per person and a maximum of two shows in this season. 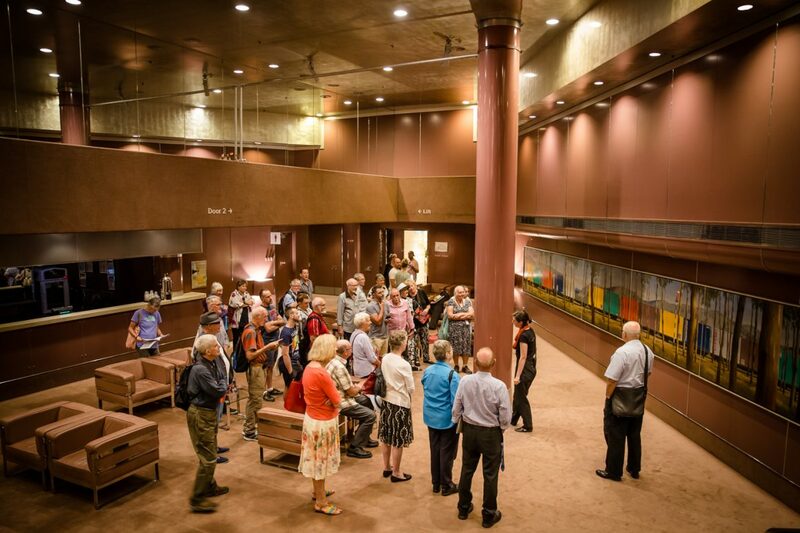 20 – 25 seats are available per performance. By registering, you agree to participate in a recorded discussion before or after the show, that may be broadcast publicly.